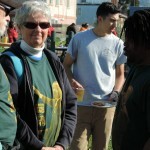 Friends Of the Richmond Greenway ‘FORG’ was formed 2006 to gather Organizations and Community Groups with an interest in maintaining the Greenway as a safe public space. 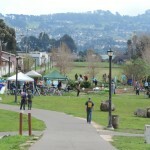 In 2011, after years of collective work by grassroots organizations, the Greenway was officially adopted as a public park by the City of Richmond. 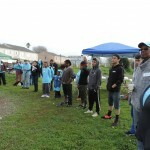 In March of 2012 the work of these organizations earned state level attention and the city of Richmond was awarded a $5 million State of California Parks Department grant to create a “Unity Park” on sections of the Richmond Greenway where organizational and neighborhood volunteer efforts had already begun. 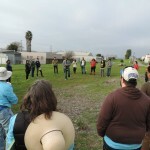 The intention of the Unity park Project is to bring more resources to these areas and uplifting years of community efforts to truly activate the space. 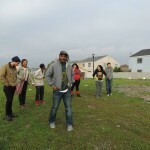 Led by Pogo Park, over 20 organizations came together under the umbrella of FORG to host the Festival of Ideas to gather neighborhood feedback and work with MIG to develop the grant. Valuable input from hundreds community members were collected from 2 design tents and a number of stakeholder interviews over 8 consecutive days. Currently we’re undergoing an inclusive community led design process coordinated by FORG organizations and members of the community in close collaboration with the City of Richmond, Vallier Design Associates and Restoration Design Group to design the Unity Park. 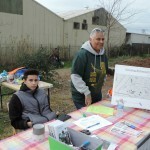 Help redesign the Richmond Greenway! We wanted to get direct feedback from all of the individuals who use the Richmond Greenway, to include their ideas and inform them about what exactly Unity Park is and will be. 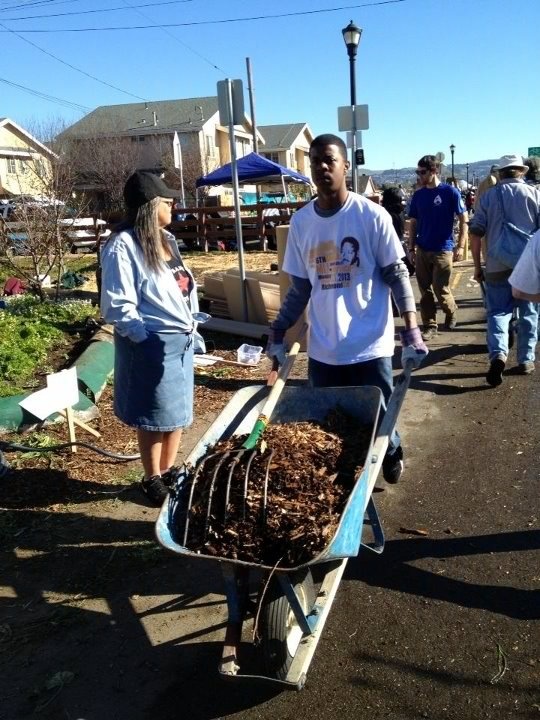 To achieve this feat while serving the Richmond community in a really fun event, FORG hosted the 2015 Martin Luther King National Day of Service as the 1st of 3 Community Outreach Events. Here is what the MLK Day experience looked like for 2015! 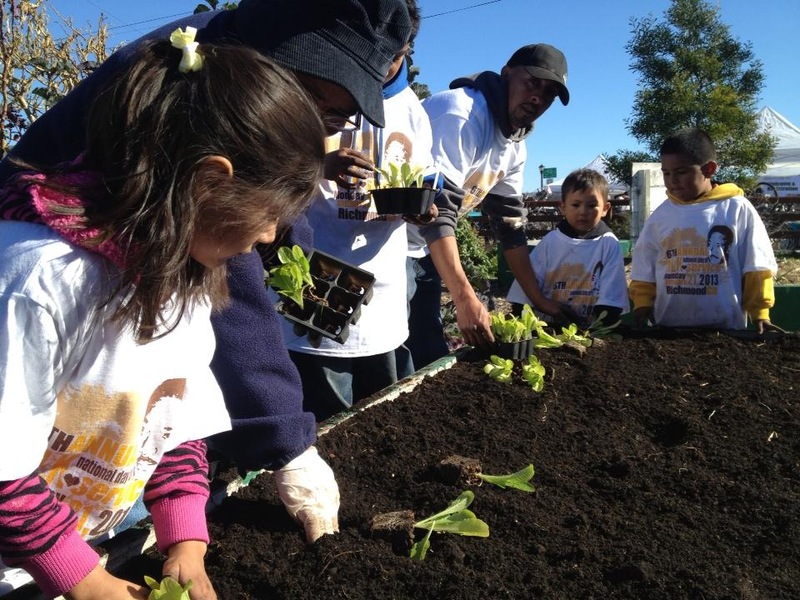 Established in 2006, the Friends of the Richmond Greenway’s mission is to serve as a collaborative of local organizations and community members that work together to transform the Richmond Greenway into a beautiful and healthy space that meets the diverse needs of our community. Friends of the Richmond Greenway envisions the Greenway as a safe, vibrant public space where people from our entire community and beyond come together to restore, cultivate and protect the natural environment, and create and enjoy cultural and recreational activities. 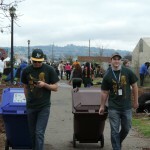 The Richmond Greenway is a vehicle for economic, community human and cultural development. 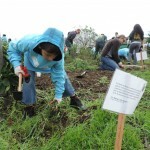 The vision and the work on the Greenway dates back 20 years, when CYCLE (Community Youth Council for Leadership and Education), led by Lily Mae Jones, whom first obtained a container to house tools and started to garden and restore land along the railroad bed that is now the Richmond Greenway. 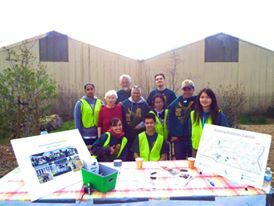 Friends of the Richmond Greenway (FORG) was formed in 2006 to bring together parties to develop and maintain the Greenway, through neighborhood involvement, and to ensure that the Greenway is attractive, well-maintained and safe. 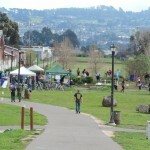 The Greenway was officially adopted as a public park of the city of Richmond in 2011. 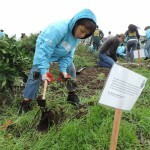 Therefore, FORG works in tandem with the City to carry out its mission and vision. The City and a cadre of non-profit agencies have obtained grant funds to continually improve and develop the Greenway as a 1.5 miles trail, with capacity for recreation, cultivation, art installation, pedestrian and bicycle transportation, and other activities. 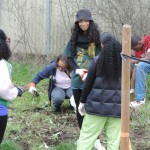 Many non-profit agencies have been active on the Greenway, including Urban Tilth, West County Digs, The Watershed Project, Communities United Restoring Mother Earth (CURME), EarthTeam, Groundwork Richmond, Gompers High School Gardeners, Rich City Rides, Community Rejuvenation Project, Daud Abdullah Mosaics, the Native American Health Center, the Neighborhood Gardeners, Pogo Park and the Artisan Hub. Many have adopted an identifiable space along the Greenway, transforming it one block at a time. 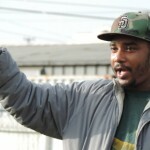 ries, neighborhoods and the people of Richmond. 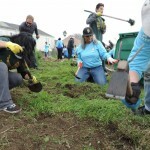 Since that first MLK Day on the Greenway the event has occurred 9 times and grown to over 700 volunteers coordinated by over 17 organizations. All devoted to collectively improving our Greenway. 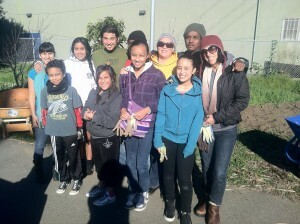 During these MLK Day Service events and during the Summer Youth Apprentice Program from 2007 – 2014, Urban Tilth has led youth and community volunteers to build and maintain 3 distinct community gardens along the Richmond Greenway at 6th Street, Berryland (their 1st garden at 7th Street) and the Edible Forest, a fruit tree garden at 16th Street. 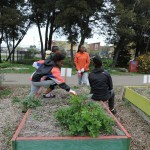 Urban Tilth has also hosted Cesar Chavez Day, Global Youth day of Service 2012, Pumpkin and Sweet Potato Pie Bake off 2011, Community Bike Rides with East Bay Regional Parks District, Outdoor Afro and Rich City Rides and special community art days with the Richmond Art Center. The Watershed Project has designed and installed the Bioswale and Native Plant Garden Project from 6th to 8th street on the south side of the trail. 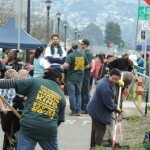 They have also hosted a number of special events on the Richmond Greenway including Bioswale restoration days with numerous school and community groups as well as more recently planting trees and creating Rain Gardens at 7th Street and 17th Street with a crew of local youth and young adults. 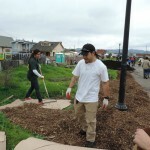 They have a new Bioswale Project under construction in the area of 20th – 23rd Street. 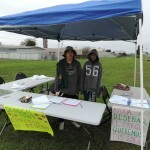 They are also coordinators and partners leading in the Greening the Last Mile project that will help to improve the eastern Greenway from Carlson Ave to San Pablo Ave.
Urban Tilth and the Watershed Project have also offered regular community volunteer days at 6th street and 16th street every 2nd Saturday since 2008. 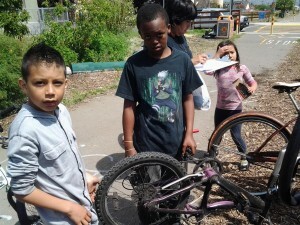 In 2012 Rich City Rides began offering free Bike Fix-in Clinics every 2nd Saturday fixing over 300 neighborhood bikes for free for Greenway neighbors. 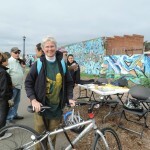 They also hosted over 30 community bike rides including the regional East Bay Bike Party with over 800 riders traveling through the Greenway to celebrate Valentine’s Day on a full moon Friday night. 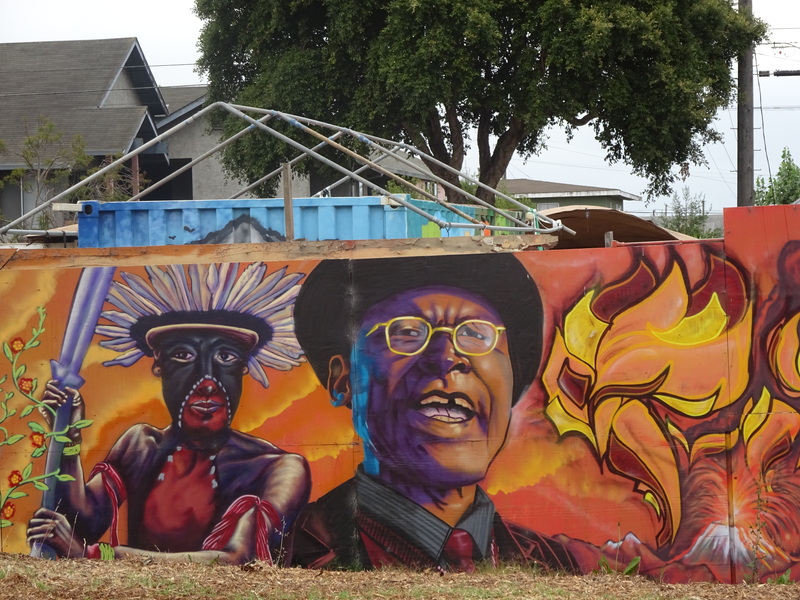 In 2010 Community Rejuvenation Project (CRP Bay Area), an Oakland based muralist collective, was awarded a Neighborhood Public Art Grant to work with local youth to create over 8 new murals for the Richmond Greenway. 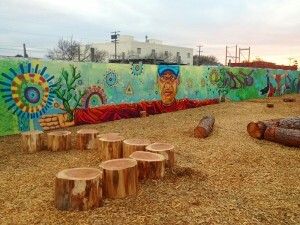 These first murals transformed the visual space of the Richmond Greenway connecting color, vision, history and imagination to the Communities’ greening efforts. 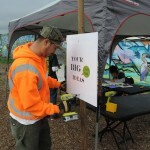 Since then, CRP Bay Area has collaborated with FORG organizations to complete a number of impressive murals, from 8th Street to Harbour Way with Pogo Park and at 47th Street with Groundwork Richmond. More recently, Pogo Park has created the Harbour-8 Park adjacent to the Unity Park site on the Richmond Greenway. 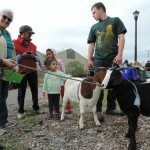 The site has been formally adopted from the City by Pogo Park and several other local non-profits. Pogo Park is partnering with The Trust for Public Land to build gardens and a play area on this site. 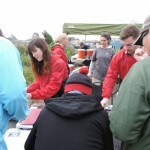 Groundwork Richmond has adopted two sites along the Richmond Greenway Trail. One is located at S 42nd Street and Ohio Ave. and the other is located at the Carlson Blvd. entrance to the eastern span of the Greenway. Future additions to both sites include tree plantings and further development of open spaces. 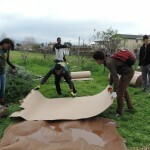 These sites offer local youth service learning opportunities and a chance to gain hands-on job training skills in landscape architecture, horticulture, and mural & metal arts. 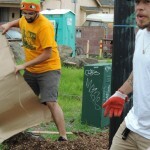 Their goal is to create sites that will be assets to the local neighborhoods who live nearby. Also they wish to further develop the Greenway into a gathering place for youth, families and commuters alike. 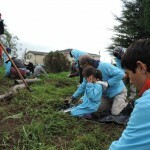 Two recent projects that we’ve been working in partnership with the City of Richmond, are Greening the Last Mile – a $727,000 project to develop Groundwork Richmond adopted spots on the eastern end of the Greenway. Partnering with the city and three other nonprofits, we will build rain gardens, a bioswale and add benches and other amenities.